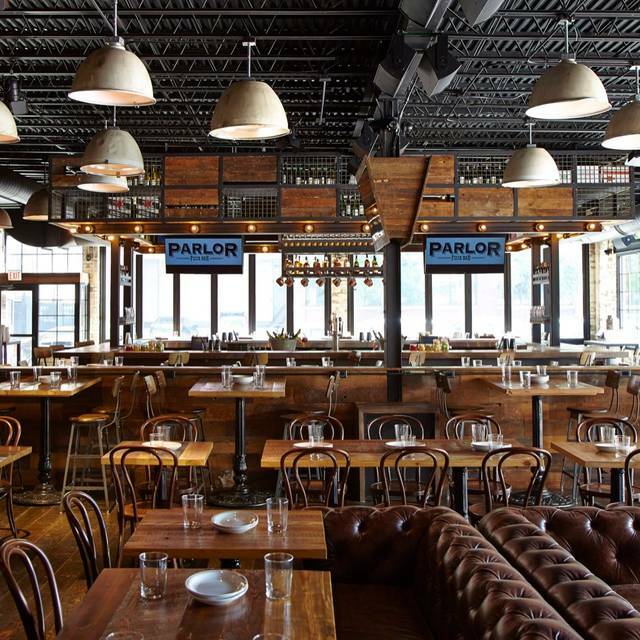 You must make reservations at least 5 minutes in advance of the time at Parlor Pizza Bar - West Loop. We do NOT take reservations for outdoor seating. Seating is available for the patio on a first come, first serve basis. We do not allow ANY outside food or drink in the restaurant. Dress code enforced beginning at 5 PM, daily: NO over-sized clothing or workout attire. great food - young crowd - outside was better last year - but still a lot of fu!! Had a great time, celebrated our son-in-laws birthday! 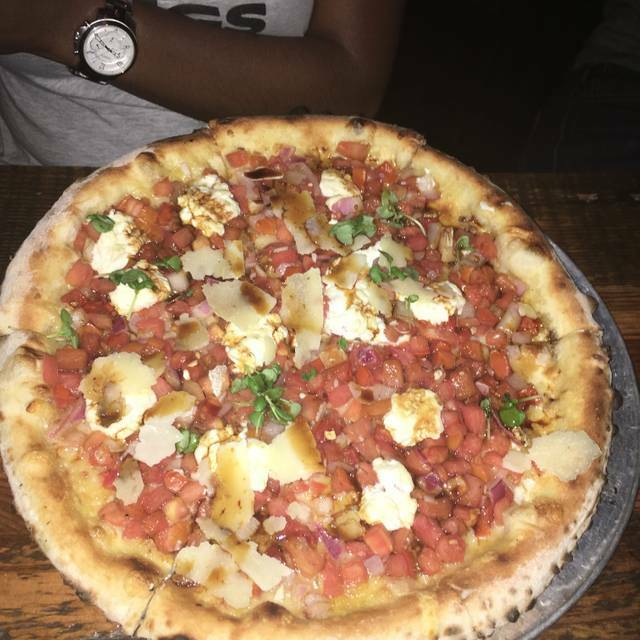 We had two different pizza's that were very good along with several appetizers which included brussel sprouts, glazed mozzarella bites, fries & antipasto salad. We really enjoyed our meals and the granddaughters had desserts which they enjoyed. 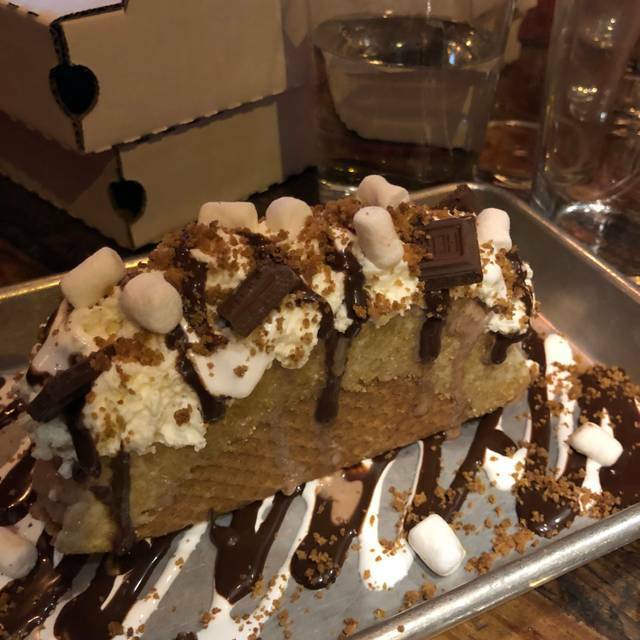 A unicorn dessert along with a gelato dessert (fried) with whipped cream and carmel sauce. It was very tasty. 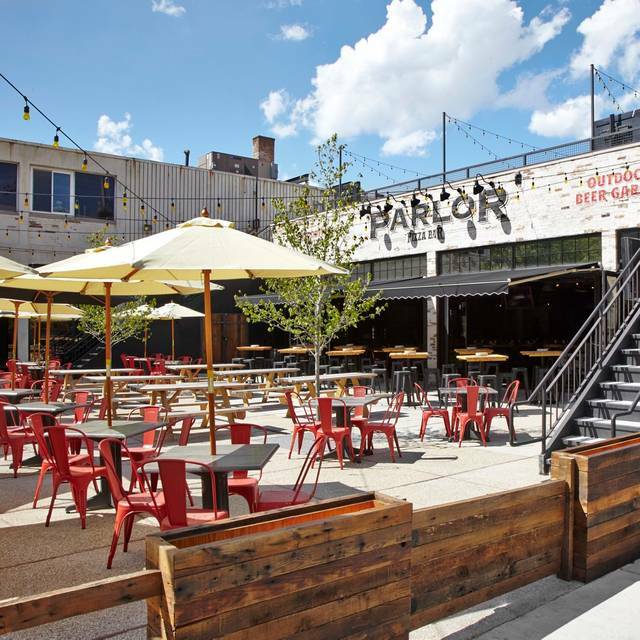 Parlor Pizza is in the West Loop, a very large and opened restaurant, there is also seating outside and that area is pet friendly. Weather was great and we had a very enjoyable time & would highly recommend the establishment. The place filled up very fast, glad we made reservations. I have been to this restaurant many times and have NEVER had such rude, disrespectful service as I received from Eric, the manager. From the moment we sat in the bar, he gave us attitude. We sat at an unoccupied table with a bottle of wine, and instead of kindly asking us to move, he told us we had made the table dirty. When we didn't move fast enough he muttered "I guess nobody heard what I'm saying." We were promptly seated, but not given menus. When our server informed us we couldn't be served b/c we didn't have menus, he came over and demanded to know who sat us. Once we were given our menus we asked for his name. He returned to the table and said "Well, I know you asked for my name. What else do you want to know about me." It ruined the entire experience. I will not return to Parlor, knowing that this is the way management handles its customers. Hummus appetizer was very good and large - definitely plenty for a table of four. Clam pizza was disgusting. The crust was good, but it had little-to-no clams, and and a thick layer of Parmesan cheese on top which required scrapping off before eating. Parlor pizza did a great job helping us accommodate more than we initially expected. We started with a reservation for 10 which grew to 18 and they worked with us to seat and serve everyone. Food was great and service was great! Will be back! they’ve definitely upped their level of service in the past couple years! was very happy with our service, and always happy with the food! We had a reservation for 10 people and they would not sit us until at least 8 people showed up. The table is already reserved, so I don't understand why make 6 of us wait around. They loose money because our bill could have been larger with ordering drinks while we wait for the rest of the party to show up. Wouldn't come here again. Such a great experience. We had a group of 20 to celebrate my birthday and the service was great. Our waitress did such a phenomenal job taking care of a group that large. No one ever had to wait to get drink orders and food came out quick and delicious. Thanks for a great time Parlor! Every time I've made a reservation at Parlor, I still have to wait at least 20-30 minutes after the reservation time to sit. Great service, food, drinks and an overall fun ambiance. The one star rating is due to the fact that your hostess actually yelled at me. I understand it was very busy and that must be stressful job, but as a customer, I do not deserve to be yelled at. The food is good here and the waitress was very nice. I’ve been a repeat visitor to this location but after this visit I’m weary of returning. Really good pizza, good service. Went early Sunday afternoon during NCAAB tourney. All TVs had game on and LOUD. We were probably 20+ yes older than average so maybe younger kids enjoy screaming to talk. Had 4 pm table reserved, no wait even though packed. Waitress recommended some beer samples and was spot on. Overall really good experience, just noisy. We went on recommendations from multiple friends for my son’s 14th birthday, Saturday at 7pm. The noise level was like a rock concert. We couldn’t talk. At all. We had to point to items on the menu to communicate with the server. I had no problem with sports on every TV, but I don’t see how cranking the volume that high is necessary. My daughter’s ears were ringing with pain. 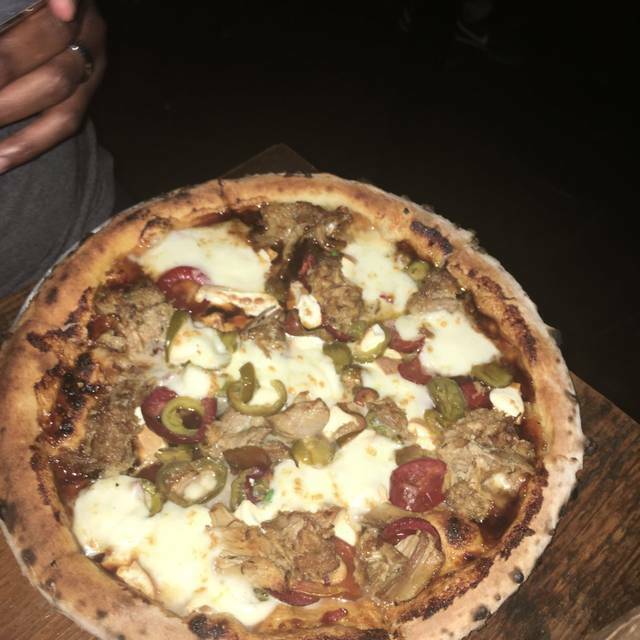 The pizza was average. Definitely not worth the poor ambiance & mediocre service. Enjoyed the food and the Tacogelato are to die for. We came in on a Friday with a big group and had a great experience Table was set up on time, we had a great server and food came out very quickly despite the place being packed. 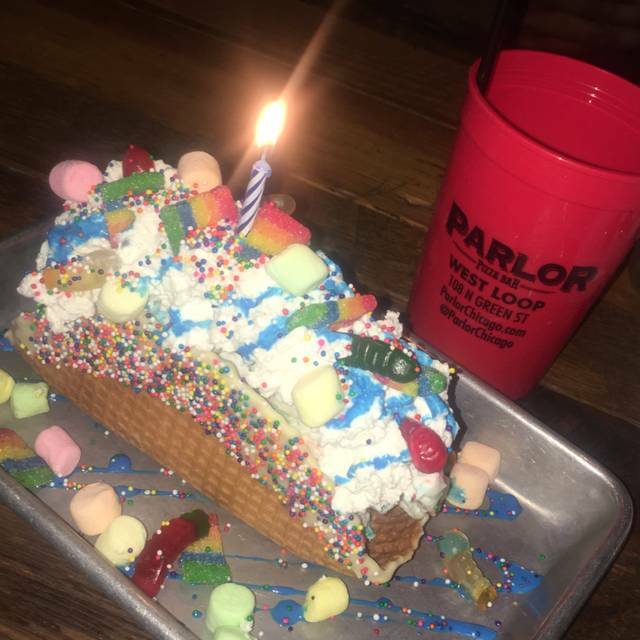 We had so much fun at Parlor! Our group kept growing and instead of us having to sit at separate tables, Parlor set us up with plenty of space together upstairs. The food and pizzas were delicious as always, and the ambiance was very fun. Thanks for a great day! Took almost 30 min to be seated. Great pizza and good for groups! Outdoor seating in the summer! There were 9 of us there for a birthday dinner & the food was very tasty, however the customer service could be improved. Upon walking in it took the hostess a minute to react that I was there & to ask if I needed anything, which at that time I had already found my party. Our server was nice, but not super with it. She frequently walked behind the wall & would write messages on her iWatch or something as opposed to coming to our table to check in. It grew rather frustrating at the end of our meal when she never offered the check and we had to wait for her attention to flag her down. In summary - go for the food, not the service. We had the kale salad and split a few pizza amongst the table. Everything was delicious! 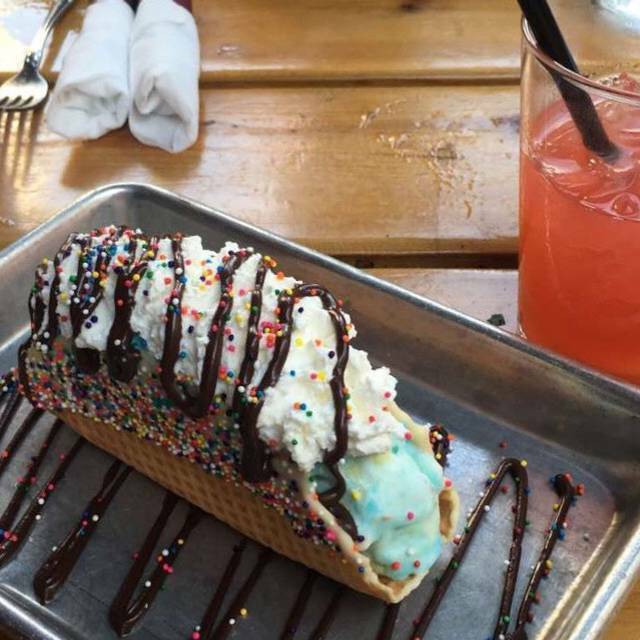 Save room for dessert though because the gelato stuffed tacos are to die for! Great folks at Parlor every time. Always a fun spot. Good food and friendly service. Made a reservation for 9 at 5pm on a Saturday with 3 small kids. They were very accommodating even after we pushed back our time and changed our party size twice. Great food, hot fast service. Excellent pizzas. Service was very quick. Look forward to going when it is warmer and we can sit outside. 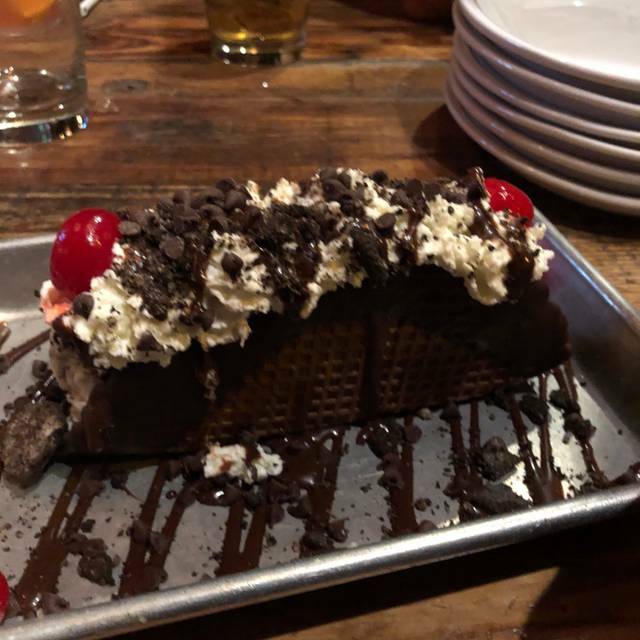 Fun atmosphere with good food and even better ice cream tacos. Everything was great except for the hostess who was rude and requested we wait outside in the cold because we were there at 11:15 with 11:30 reservations. A group of 17 of us met up to get drinks and TACOlatos. Parlor was extremely accommodating and the service was fantastic. The TACOlatos were extremely good. I highly recommend giving it a try. Definitely being added into my rotation of must-have pizza places in Chicago. We got the Pizza Bread and the Kale Cobb Salad to start. The pizza bread was not what we expected, but still pretty good. It was a fusion of half garlic bread, half stromboli-type feel. If you’re with a large group, this is a great shareable (about 8 slices worth). For just two people - way too much. The Kale Cobb Salad was delicious. One of the best kale salads I’ve ever had. The pizza - we shared the “How Stracciatella Got Her Groove Back”. 13-inch, Neapolitan-style pie. Cut into 6 slices. San Marzano tomato sauce, spicy soppressata, chili oil, shaved garlic, jalapeños, Parmesan, and stracciatella. It packed a punch, but dang, it hit the spot. We were talked into dessert with very little persuasion needed. A “scoop” of mint chocolate chip gelato, is like 5-6 scoops in a plastic cup so don’t be surprised if you have to take it home (they don’t have to-go lids for these cups so beware of the commute home with an open gelato container. Worth it though and I’d come back just for that. 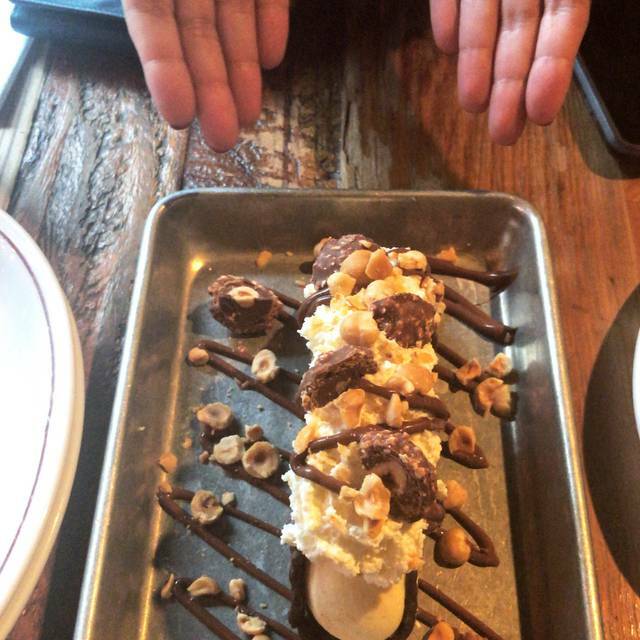 My brother got the Go Nuts tacolato and really liked it. Service was awesome - MaryBeth was so sweet, provided a lot of great recommendations and was attentive throughout our experience. New fav pizza spot in chitown. Thanks, PP - I’ll be back. Our server was fantastic and friendly. The food was delicious. The brunch menu was awesome! The service was great! Loved that they have valet service. My only complaint, the noise. It was very loud in there. Not sure you need music playing when the place is packed. I had a great time with friends! Great service and delicious pizzas ! Happy hour with coworkers. Sat upstairs on the newer area - mostly where families were sitting at that time. Vibe grew more vibrant and we sat there. Great service and good food. Good food, good service, good atmosphere, no real complaints. Our server was great. The problem was that were constantly approached by others (I believe managers) asking how we were doing. We appreciated that people wanted to make sure we were taken care of but it was disruptive of our conversation.